"...brave, honest, unforgiving, and real as the taste of salt on the tongue." "FREEDOM OF EXPRESSION AWARD SHORTLISTED"
A journey to the bottom of the Atlantic Ocean. 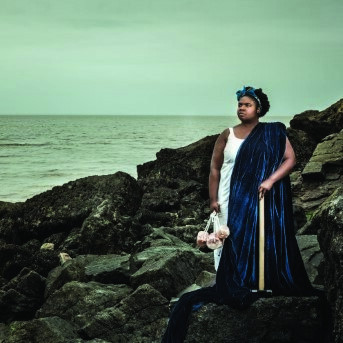 In February 2016, two artists got on a cargo ship to retrace one of the routes of the Transatlantic Slave Triangle – from the UK to Ghana to Jamaica and back. Their memories, their questions and their grief took them along the bottom of the Atlantic and through the figurative realm of an imaginary past. It was a long journey forwards in order to go backwards. This show is what they brought back. Commissioned by Yorkshire Festival, Theatre Bristol and MAYK. Supported by Arts Council England.